I wonder what secrets they guarded …. or a fortune beyond measure. That very old lock from the 1680’s is absolutely fascinating! I wonder how many locks have never been opened and are still guarding who knows what treasure. This is interesting and goes along with the grand woodwork where there are all kinds of secret drawers and spaces for treasures. You’re right! The craftsmanship back then was extraordinary and exquisite. They are. I remember Dad admiring them. The lock under the leg and all those details connected to it is pure genius. Ahead of its time. 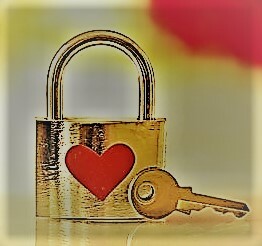 Am fascinated by old locks, love the little one that can be put on the finger. Fascinating stuff Raili.